Power washing is the most effective and efficient method of cleaning housing exteriors. The high-pressure can penetrate textured surfaces of all kinds. The exterior of your home is constantly exposed to harmful elements. To maintain the appearance and value of your home, periodic cleaning is recommended. This can greatly slow the ravages of nature and will greatly enhance the beauty and value of your home. Decks have become a popular way to add living space to a home. However, like all wood surfaces, they need to be properly maintained. Because wood decks are subject to the damaging effects of weather, it is critical to have your deck cleaned and sealed on a regular basis. 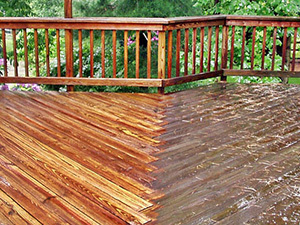 A poorly maintained deck quickly turns grey in color as it deteriorates. Soon splinters form, creating a rougher surface even more inviting to dirt and grime. 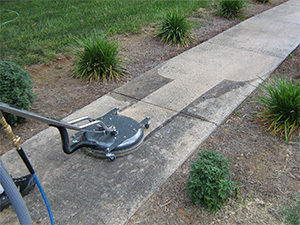 Whether you are cleaning concrete, brick, pavers, or asphalt driveways, the surface is porous and gets dirty easily. Your tires bring grease, oil, dirt, and all kinds of dirt to your driveway. 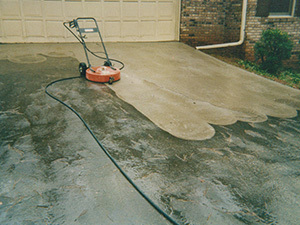 The most effective method of cleaning your driveway is professional power washing. These cleaning machines will spray a high volume of water at a high pressure in order to expedite cleaning. Pressure washing is the most effective and efficient method of cleaning housing exteriors. The high-pressure water stream can penetrate the textured surfaces of aluminum, wood and vinyl sidings. 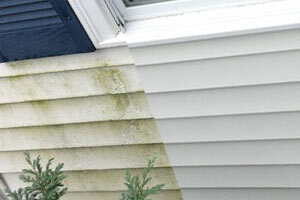 Even an average house has a lot of siding that can get pretty dirty, since it’s exposed to the elements. A pressure washer will make quick work of cleaning larger houses, as pressure washers make it easy to reach even second stories without the use of scaffolding or ladders. 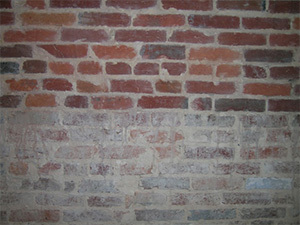 Mildews are the premature stage of molds. Molds are fungi that can be found both indoors and outdoors. Molds grow best in warm, damp, and humid conditions, and spread and reproduce by making spores. Mold spores can survive harsh environmental conditions, that do not support normal mold growth. Mold and mildew is a common problem in some areas due to local conditions of heat, humidity and surroundings. Airborne mold and fungus spores can produce similar harmful deposits. We use environmentally friendly mildacides to eliminate mildew and mold while also removing dirt and pollution. Our cleaning agents leave behind a clean surface that is not readily hospitable to mildew and mold spores and will slow their re- growth. 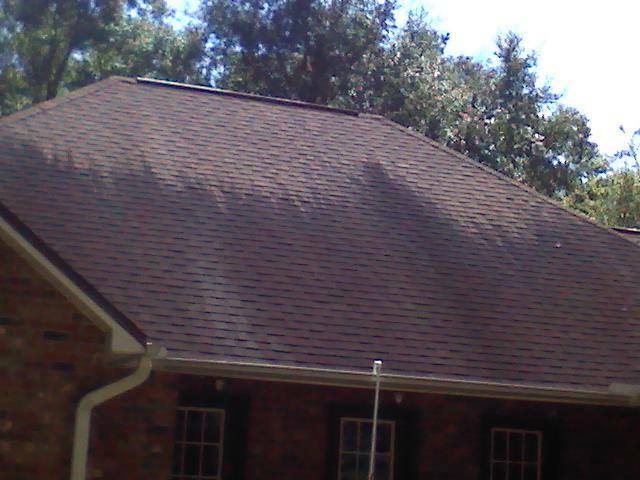 Roof wash is our newest most innovative service offering low pressure roof cleaning using cleaners specifically designed to remove those black dirt, mold, and mildew stains. A stained roof can make your house look dirty and old and we know first impressions are everything. Let our team of experts work to have your roof looking like new, while saving you hundreds versus replacing. 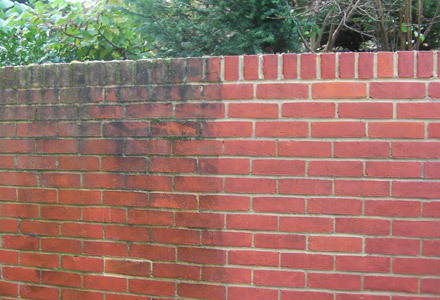 If you want your fence to last longer and look better you’ll need to keep it properly maintained Power washing can restore a fence that’s turned grey or black, making it look brand new and helping you avoid costly replacements before you really need them. 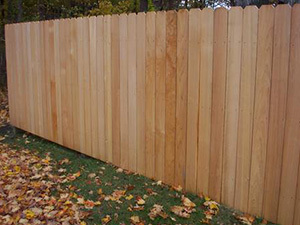 If you’re simply getting dirt, peeling paint or old stain off of your fence we can do that too. We can also remove years of mold and mildew or black drip stains from screws and nails.